An update to Pikmin 3 has arrived just in time for its inclusion in the Mario Kart 8 free game promotion, introducing a new way to send your minions hither and yon. In addition to the original GamePad, Wii U Pro Controller, and Wii Remote/Nunchuk options, planetary explorers can now use the stylus and GamePad's touch screen to toss their Pikmin about. Controls can be changed in the main menu. Do you plan to make Pikmin 3 your free Club Nintendo pick with Mario Kart 8? And if you already own Pikmin 3, will this control scheme make you want to pick it up again? Let us know below. This is really cool. Pikmin 3 is a great game! I'll need to see first how that works. I like the original GamePad style. This has the potential to be amazing. Too bad I already have all the promotion's games. Interesting. Is this a faster method of control? Seeing as it is touch control. If so the records for mission mode could be even faster. Wow, it actually happened! As I play on the Gamepad, I started to really wish this was an option but never expected it to be added suddenly! Using the dual analog feels so slow and clunky, since you have to hover over enemies to throw at them, rather than adjusting your cursors distance. I'll probably bother finishing this game now, thanks Nintendo! Pikmin 3 will be my choice. Nice "Signs" reference, @Tim. It is like Nintendo could read my mind! Thank you! Awesome! This is the control method I was hoping this game would have on it's release! I've already beat the game, but I was already planning on replaying it soon now that summer's started again, and this just makes it all the better to replay it. Will definitely have to try this out!!! Seriously, that's the best thing to ever happen to Pikmin. FINALLY. i was so perplexed by the ability to play on the gamepad but requiring the use of a wiimote and nunchuck to do so or the wonky control stick scheme this makes me BEYOND happy and now i have a reason to replay it! @DestinyMan oh man pikmin is much better. @markybbop Samers, going for WW:HD seeing as the original was and is my favourite game/Zelda game of all time!! @LexKitteh Exactly my thoughts! I thought this would have been an included feature so it's amazing to have it now! Seems like this would make the game so much easier. I absolutely hate the Wiimote for Pikmin and the thumbstick isn't as accurate as I'd like it to be. I'm going to have to try this out.. gives me a reason to play again. I love this game. I'm getting this tomorrow with mk. I was planning on buying it, but now that it's offered with the promotion, I can't say no. Love me some Pikmin, more options the better . Is there a left-handed version? I've tried it, i need that option. I still think the best control scheme is by far the Wiimote/Nunchuk setup. With that said, I think this new stylus setup will make for the best control scheme for off-TV play. By far. About time, the current gamepad control scheme strikes me as a bit ridiculous considering even the Nintendo Land mini game used the touch screen. I do plan to get Pikmin 3 for my free game once Mario Kart comes out. I was so looking forward to downloading Pikmin 3 but looks like the original control scheme is slow, clunky, and boring. And with no lefty option.....I might have to download something else. Yup! This will be my free game along with Mario Kart 8!!!!!!!! @TimLatshaw Absolutely love the tag line! Had me rolling! Oh and yes, I'll be picking it up as my free game. Can't wait as I love the series. Fantastic Signs reference in the subtitle! @LexKitteh it wouldnt be to hard for them to swap the stick functions, looks like a complete oversight to forget about all of us left handed people. Pikmin 3 is a real gem of a game. My only complaints were it was too short and no online multiplayer. I'd highly recommend it to anyone, especially if you have good local multiplayer options. I will be picking up wii party u as it is the only game the offer in the US that I don't have already. Very nice! I completed this game using the gamepad controls (I absolutely loved how the gamepad was used in this title, being able to use it to multi-task was one of the best things about it) but this sounds like it might be even better. May have to try out some missions with it. Nintendo Land did it first. @smikey I had much more fun on a second play through. I wasn't doing something (I forget what!) the first time through and I was frustrated much of the time. Second time through I started trying not to lose any pikmin and did pretty well for awhile. Had much more fun. Plus, the challenges added a surprising amount of game time for me at least and it was fun to play with a buddy (my kids). I wish they'd make it so messing with the map didn't pause the game play. Having someone set up secondary actions without interruption and looking things up would a la Wind Waker would make playing with a buddy much more fun. Will definitely try the stylus control though. My son might love that as he still plays the Pikmin Nintendo Land game quite a bit. I just tried it, and... well.... I honestly wasn't fond of it. Maybe I'm to used to the Wiimote and Nunchuk control scheme, but it was extremely clunky. The only thing that works well is tossing Pikmin, which only works in off tv play since it's hard to control without looking where you press. You have to hold down for it to be playable on the tv which doesn't really help. Also, since your right hand isn't free you can't control the camera with the right analog stick which leaves camera control to just tapping ZR, and since you all ready have to use Z to lock on it is literally like playing Uprising with an extra trigger button which is just to much. Also, they placed sprays, dismissing, and the maps on the left side of the touch screen. Which means you have to press them with your left hand to preform these tasks quickly, which means you can't move while preforming them. Also the Charge is hands down the worst thing due to having to hold a button then press the touch screen to preform it. Finally, switching Pikmin is a pain since their circles are so tiny on the touch screen. It just has to many faults. I understand why people wanted this since it worked so well in Nintendo Land, but legit Pikmin has to many controls for this to be useful. So, IMO the Wiimote and Nunchuk remain the best control option, while the Gamepad is still the best for off tv play. Also, no left controls is a huge over site. Maybe I need more time with it, but honestly I find it just doesn't work well from the fact of how many actions the game has. Yay just in time for me to pick Pikmin 3 as my free game. Getting it free tomorrow! I'll probably use the new control method the most, just because it was great in Nintendo Land. As someone new to the series who recently completed Pikmin 3, I absolutely loved it. I don't have the first two to compare to but I had a great time playing this one. I've never played another game like it. @Jt23738 I don't know how to react to that... I'll probably just not use it, and I'm not giving it to anybody else. Wowzers! That's a surprise. To add a control scheme to a game after all this time... Thanks Nintendo! I'll definitely give it a shot, Pikmin 3 is on my backlog alongside most of my Wii U games haha. Previously, I was on the fence between Wind Waker HD and Pikmin 3. However, seeing as I have already played through the original Wind Waker, I'll probably go for this one. The new control option sounds great, but like many others, I would appreciate an option for lefties. . . . Oh well, if I could make it through Kid Icarus: Uprising, I can certainly handle Pikmin 3. I already own 2 out of the 4 promotional games, the only 2 I did not have is NSMBU and this. But since I am planning to get NSLU and I already own Mario 3D World, I will pick Pikmin 3. Wow that's unique. I still feel wiimote and nunchuck is the best control scheme for the game, but I will probably try that out to see how it plays. There's not many game developers who go back and change games a year after launch. Why can't they just add a control style where I can use Wii Motion+ Controller with Nunchuk and DON'T have to use Gamepad for ANYTHING? Being required to use Gamepad in Pikmin 3 is the only reason I don't like Gamepad. I used to also dislike the short battery life, but then I bought the extended battery for it. Can they please remove the need for Gamepad use in Pikmin 3 for essentially pause menu commands which is simply better controlled with Wii Motion+ and Nunchuk? Still on the fence with this one. It's between this and wind waker. I already played through most of the original wind waker and loved it but this game looks good also. Never played one or two. I wish there was a demo to try. Great game I would like to see some more DLC . I'm getting Pikmin 3 with Mario Kart 8, but I'm not sure if I'll use this control setting or not. This is the only one of the NA I don't have but I'm not sure I want it. I've tied the first 2 but hey've never held my attention very long. I'm thinking about getting either wind waker or super Mario brothers u and trading my physical copy in towards smash brothers. Yep! That's really cool! Thx Nintendo! Yep this will be my free game with MK8. I'd be playing off-tv at night so this would be great using the gamepad. Really digging the new stylus option. While the analog sticks worked well on GameCube, I can't stand it on Wii U and found myself going with the Wii Remote & Nunchuk which work just as well as the Wii enhanced versions of Pikmin 1 & 2. Even with the options I found myself longing for the Nintendo Land controls since I played Pikmin Adventure extensively and loved the touch control of the Pikmin. The new stylus controls brings the game more in line with PC RTS titles (a huge plus) and has me loving the GamePad more than ever. Honestly, I really want stylus control for an FPS now (it doesn't have to mandatory, I just want the option). I was absolutelly happy with my remote+nunchack. But this is a good option. BUT- Nintendo, stop making changes for me! Why you set Stylus as a default control? I dont like it, even after beating the game. And backchange is possible only at play.... Don't do it as Sony please! I guess I would find a control scheme suitable for me. I'm still undecided about my free game though. This and W101 are my options. W101 I would like to actually buy to support Platinum but I dunno... I wasn't too amazed by the original Pikmin. Never tried the second one. @ToniK Pikmin isn't everyone's cup of tea, but man, if you like Platinum Games' games, then you'll LOVE TW101! It's over the top, challenging, and fun as you expect from a PG game! Aft6er all this time, they are still updating and improving their games. I find that quite awesome. Most devs abandon their games after the initial release and after they sacked the launch money from it, maybe add a patch or two to fix some problems to avoid day one backlash. This might be a very cool playstyle addition. My problem was the inability with the sticks to control depth of throw and move at the same time. Having to stop every time reminded me of Resi's tank controls. Nintendolands best game was pikmin and pikmin 3 is one of my fave games of 2013. Though I really wanted nintendolands control method. Now I do and it works brilliantly. My only gripe is the lack of analogue control for the kopaites. Analogue control is present if you use wiimote and nunchuck. Why not the gamepad? Minor gripe aside though. I think this is a good excuse to play through the wiiu's most beautiful all over again! Still one of my fav on any platform. Even better now. To those people who don't already know you can totally use wii mote and nin chuck controls in off TV mode using the gamepad sensor bar for the wii mote. I don't think many people know this with all the people complaining about not being able to play well on the gamepad alone. Just put the pad in the stand and hold the wii mote about 20-30 centimetres away from the screen. It works just as well as doing it on the TV. Now make a new control scheme for Kid Icarus: Uprising! PLEASE! I'm going to pick this up soon, but not through the MK8 promotion, as the game retails for around £20 new. I'll be playing the smarter option for myself, and picking up Monster Hunter 3 Ultimate, as the game is still upwards of £30 pre-owned and I haven't played much of the original game on the Wii. Still think I'm gonna use remote n' nunchuck, given what I'm hearing, but having more options is always good. @LexKitteh Yep. I started doing the Gamepad, but lack of precision with the second stick became too frustrating. My daughter might like the stylus interface though, so she may pick up the game again. I just downloaded the update and... wow, it's not a useful control scheme for me. I can only really play this game with the Wiimote+Chuck. This will be my free game seeing that i already have nsmbu and wwhd. Also i played the 1st pikmin and i kinda liked it, will i like this one more? Nice but I think I'm gonna stick to The Wonderful 101 as my free game. Platinum power! I have no idea what you're talking about. I'm not talking about RTS games. 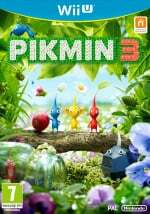 I'm talking about one game in particular- Pikmin 3. And when it comes to Pikmin 3, the Wiimote is the best control scheme ever conceived. You can't just lump an entire genre into one pile and say oh they all work best with such and such. I'm not talking about PC games. I'm not talking about RTS games. I'm talking about Pikmin 3. Pikmin 3 offers several control schemes. OF THEM, Wiimote is clearly and by far the most superior setup. I may try this, but I think I will still prefer WM+ and chuck. @Captain-Falcon Monster Hunter, without a doubt. It depends on your tastes. Me, I would take Pikmin 3 over MH any day of the week. But you can't go wrong with either. Might be worth another play through to use the stylus controls. Picmin 3 is the one i would like to play. Its features amazes me..
That is a pretty great improvement, I suppose! I am among those preferring the wiimote pointer usage when playing on the TV screen, thus if I wanted to play on the Gamepad screen only, I had to adjust to completely new controls (unless of course I had played with wiimote pointer on the gamepad screen, which is pretty weird and misses the point). So now I suppose the touchscreen controls will be somewhat similar to playing with the wiimote. Nice to see that Nintendo keeps improving on it's older titles. new touchscreen controls are awesome! I love you ninty! @JaxonH @argol228 you just being petty man. The guy makes a valid point, you counter with facts not relating to the issue in question, he clarified, you repeat info not relating to the issue in hand. Pikmin is an RTS game, no doubt, it's best available control option is wiimote+nunchuck. In most people's opinion. The only fact here is that you can NOT play pikmin with a mouse so I don't know why your wasting your time talking people into it. This or Windwaker. I have some time to think about it yet. Every time I feel like I've made up my mind, I read something that get's me to second guess. I played Windwaker the entire way through on the cube but I would love an opportunity to introduce Zelda to my two sons. I never played Pikmin outside of Nintendoland. I'm going off of what others say about the game and the series. That makes me a little happier to see. I've been playing with the Wiimote+Nunchuck and being reminded what I liked least about the Wii. The Gamepad+Stylus mode would be more like the Nintendoland Pikmin game. 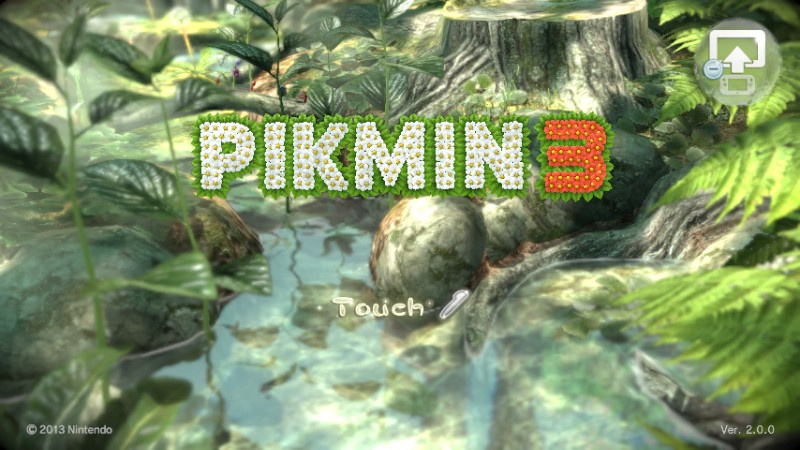 I am happy that I picked Pikmin 3 over New Super Mario Bros. U (and downloaded before Club Nintendo came crashing down). After Super Mario 3D World, I am grateful for the variety. On a related note: I am not surprised Club Nintendo failed however, it was trying to offer me a second free game from registering Mario Kart 8. I wouldn't be surprised if people were trying to scam a second game. I just downloaded this game for free Gonna try it tomorrow. I will be getting Pikmin 3 for my Club Nintendo game! So what? Pikmin 3 doesn't have a "mouse/keyboard" option, so why are you even bringing that up? Nobody cares about Pikmin with a mouse because you can't use a mouse to play it. Even if you could, I hate using a mouse to play. If I can't sit back in my chair and use it in midair, I'm not interested. @ULTRA-64 I said touch controls. and no I am not missing the point. Mote+chuck is clunky and slow. yes it works but with major loss to accuracy. the game frustrated me because of how awkward the controls were. I knew everything could be made smoother especially because of nintendo land. @JaxonH are you people missing the part were I said touch.... it is there. clear as day. your ignoring I said it to argue. @TonLoco Both are tied with W101 and SM3DW as my favourites non Monster Hunter games of 2013. You can't go wrong with these titles. Pikmin 3 is my choice for the Mario Kart 8 deal, so I'm excited to hear about this. I was a complete sucker for good stylus controls on the DS, so I'll probably start out the game playing it like this. For the club nintendo download code, do you have to type it on the eshop with your gamepad or is there an alternative way of doing it? I wish there was left handed support but beggars can't be choosers. To be honest, the default controls (Gamepad) in Pikmin 3 are pretty confusing. Stylus mode is uncomfortable and Gamepad isn't intuitive. I played the "New Play Control" version on previous entries in the series and I'm having a really bad time mastering the controls now. That spoiled a bit my experience with such an unique game.